Wondering where to find family-friendly Minecraft items? I have the answer for you: Best Buy! 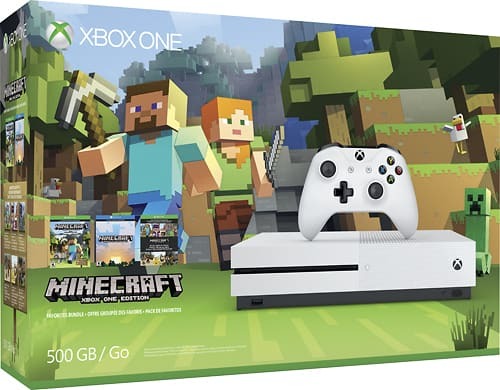 You'll definitely find the all new Xbox One S Minecraft bundle at Best Buy (see why I think the Xbox One S parental controls are the best thing ever), but did you know you'll also find plenty of Minecraft toys and collectibles? Minecraft is a game about placing blocks and going on adventures. Explore randomly generated worlds and build amazing things, from the simplest of homes to the grandest of castles. Play in Creative Mode with unlimited resources, or mine deep in Survival Mode, crafting weapons and armor to fend off dangerous mobs. Create and explore your very own world where the only limit is what you can imagine; just be sure to build a shelter before night comes to keep yourself safe from monsters. Do all this alone or with friends. Best Buy's assortment of Minecraft games and collectibles allows the entire family to build and explore exciting new worlds. Minecraft games are very family-friendly. They're great for kids but many parents love it, too. 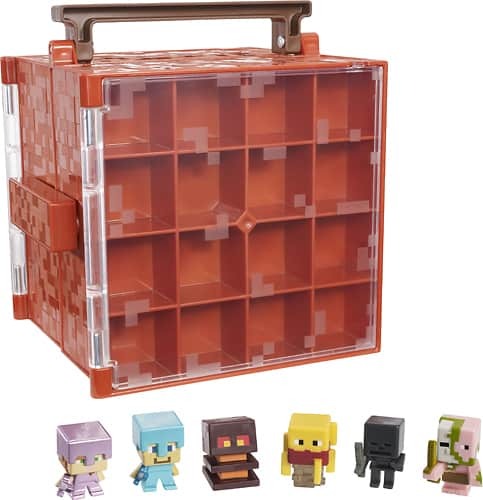 If kids love playing the Minecraft video game the toys and collectibles make great gifts for anyone already into the game. Shop at Best Buy to check out their assortment of Minecraft products, including the Xbox One S console bundle, Minecraft games, Minecraft toys and Minecraft collectibles! Shop for Minecraft games, toys and collectibles at Best Buy! Disclosure: The reviewer has been compensated in the form of a Best Buy Gift Card.